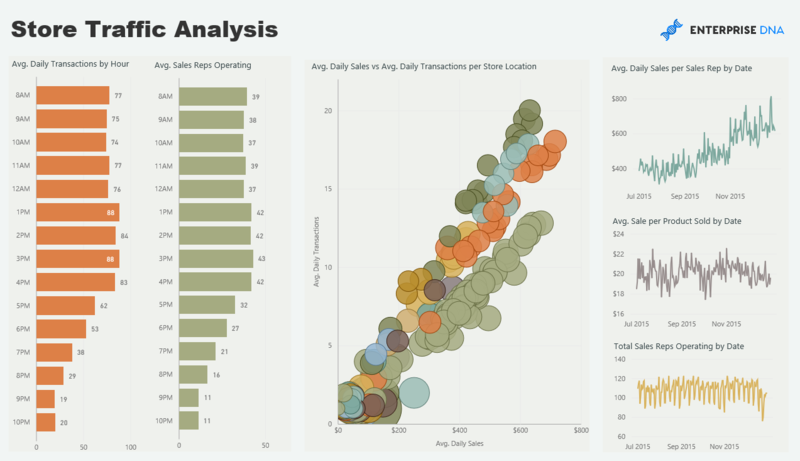 Analyse sales across multiple store locations. Review sales rep and store location performance. See how results change over time and identify why some reps are performing well versus others. Use company wide sales info to increase performance for all stores. Analyse sales across multiple store locations. Review sales rep and store location performance. See how results change over time and identify why some reps are performing well versus others. Use company wide sales info to increase performance for all stores and optimise staffing and resourcing based on historical trends in demand. 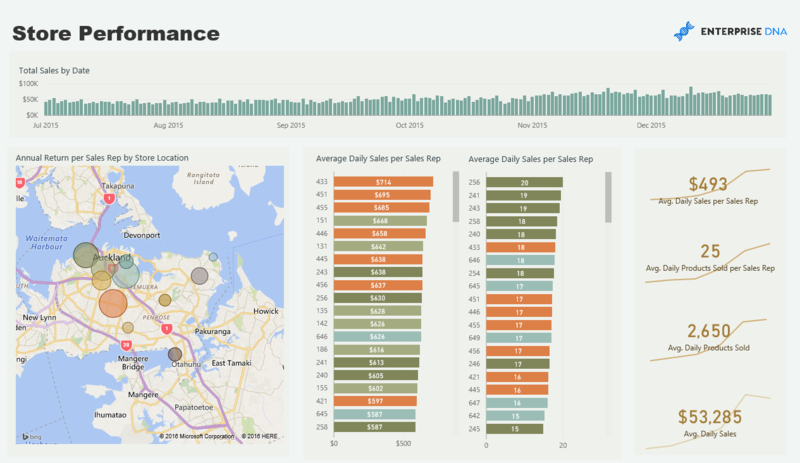 Store Metrics - How are your stores performing based on secondary metrics including average sales per products and average sales per day by sales rep? See at a granular level which sales reps are performing versus others, and understand why some produce consistently higher yields than others. Store Returns - Check for consistency in sales, or any underlying trends in sales. Filter by region or a particular sales rep. Review any particular day and how each metric performed throughout that day. Create a minimum service level requirement that can be checked per store on a daily basis by management. Demand Forecasting - See how demand differs for each day of the week. 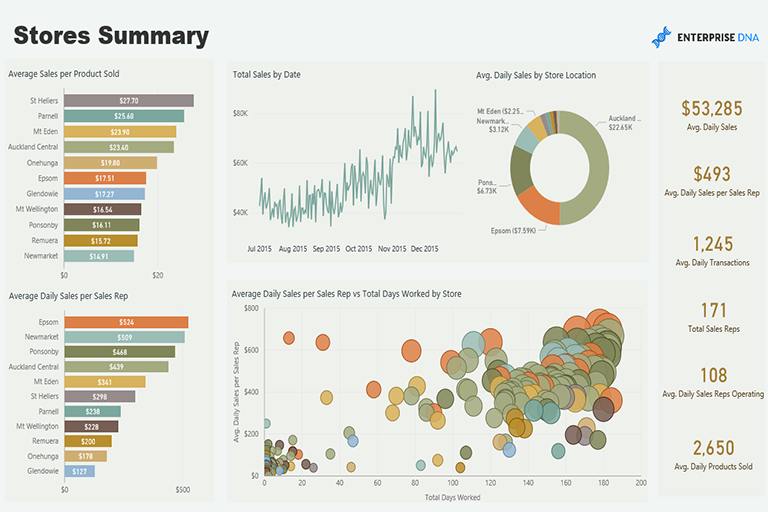 Identify trends through time and for each store location. Opportunity to measure demand before it happens creating opportunity to resource effectively. See almost immediately after a day’s trading how you are performing versus historic metrics.